A front load light duty cargo bike. I used a donor Trek 800 frame (late 80s) for the rear triangle and a built a new front triangle designed for a 20" front wheel. 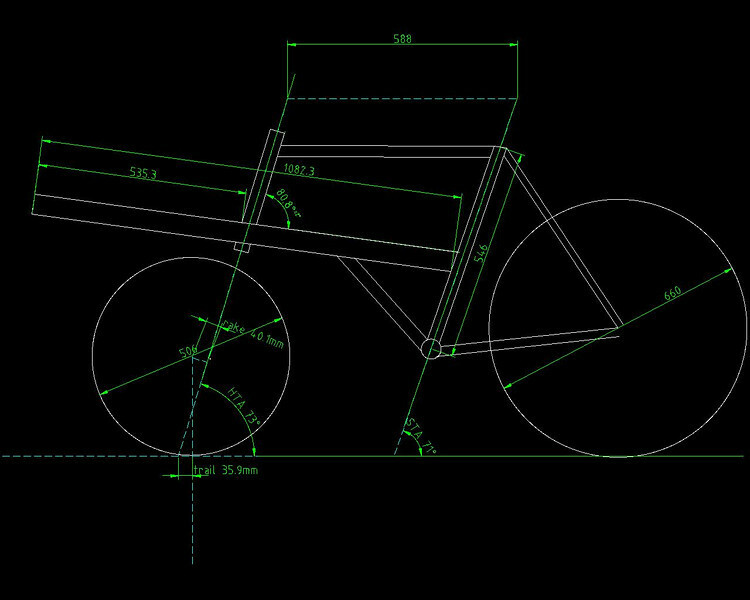 This is my first bicycle frame (partial or full).